The first official video from the Islamic State (IS/ISIS)’s division in the Philippines, featuring Southeast Asian fighters inciting Muslims to join the group and carry out lone-wolf attacks, was translated to Indonesian and disseminated on Telegram. Samsul Saguni, an Indonesian hostage reportedly held by Abu Sayyaf Group in Sulu, Philippines, appeared in a video pleading for help. 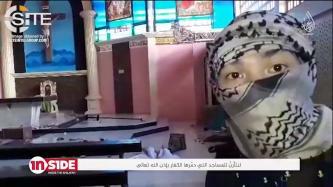 An Islamic State (IS/ISIS) video featuring fighters from Southeast Asia, military training for children, and further featuring fighters and children burning their passports, was translated to Indonesian and shared on Telegram. 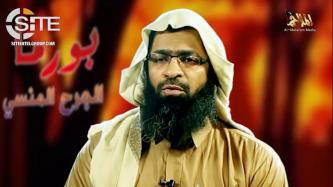 A top Islamic State (IS/ISIS) leader and financier funneled at least $600,000 from Indonesia to the Philippines, through Western Union transactions. 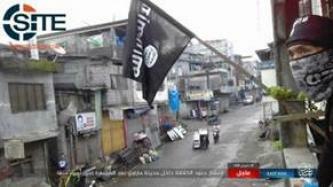 The Islamic State (IS) focused on Marawi in the third episode of its "Inside the Caliphate" [من الداخل] series, highlighting fighters' perseverance against Philippine soldiers and American and Australian aircraft, and calling on Muslims in the region to come and fight. 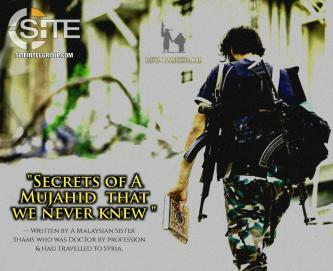 A pro-Islamic State (IS) Telegram channel called on Muslims in Indonesia, Malaysia, Brunei, and elsewhere in Southeast Asia to “rush” to join IS fighters in Philippines amid their siege on the city of Marawi. 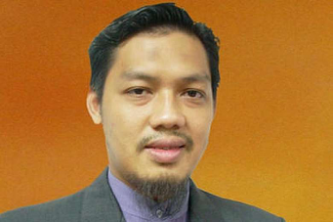 Users on a pro-Islamic State (IS) Telegram chat group brought attention to Malaysian government leaders’ efforts against the group domestically and in the Philippines, calling them “the big enemies” of IS. 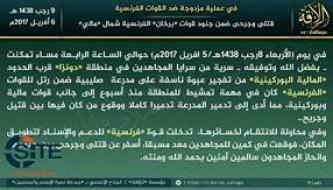 The al-Qaeda (AQ)-affiliated Nusrat al-Islam wal Muslimeen claimed bombing and ambushing French forces near the Malian-Burkinabe border. 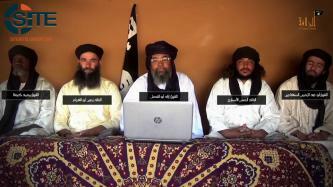 Three jihadi factions in Mali, Ansar Dine and the Sahara and Murabitoon branches of al-Qaeda in the Islamic Maghreb (AQIM), announced their merger and their pledge of allegiance to al-Qaeda leader Ayman al-Zawahiri. The division of the Islamic State (IS) in the Philippines released its first official video, showing the pledging of four factions to the IS, and Filipino, Indonesian, and Malaysian fighters inciting their respective countrymen to join the IS and carry out lone wolf attacks. 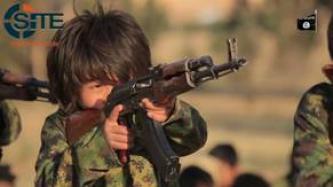 Al-Barakah Province, the division of the Islamic State (IS) for al-Hasakah, Syria, released a video on fighters from Southeast Asia, showing military training and religious indoctrination for children, and adult fighters and kids burning their passports. 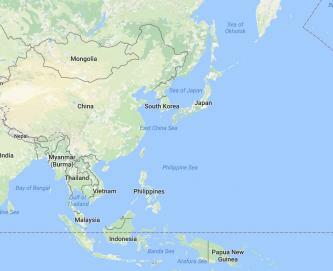 Jihadists on a top-tier jihadi forum expressed their hope that Malaysia Airlines Flight MH370 disappeared due to an act of terrorism and that it is a “test” on the Chinese before the Americans. Jihadists have been mostly quiet regarding reports about the missing Malaysia Airlines Flight MH370, neither expressing an opinion about its fate or speculating on its whereabouts. 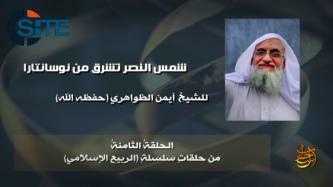 A member of al-Ekhlaas, a password-protected al-Qaeda-affiliated forum, urges Muslims to boycott Dutch companies, particularly Shell and Philips, in revenge for the film, “Fitna”, produced and distributed by Dutch MP Geert Wilders.